Vision: To be a community and industry leader in workforce development. support regional businesses and employers develop and sustain a qualified workforce enabling them to be a high-performing operation. Northern Virginia Community College’s VP of Workforce Development, Steve Partridge, participated in a panel at the Association for Career and Technical Education (ACTE) Career Tech VISION 2017 in Nashville. This article was originally published by the Community College Consortium for Immigrant Education. Leaders from community colleges across Virginia gathered last week at the 2017 HIRE Education Conference. The HIRE Conference is an annual event serving leaders at community colleges by creating a forum to share best practices and learnings about the evolving economic landscape as it relates to education and career pathways. The conference focused on best practices within the field of Workforce Development, a critical division within local community colleges that connects economic trends and labor market research with talent development opportunities and training for students. 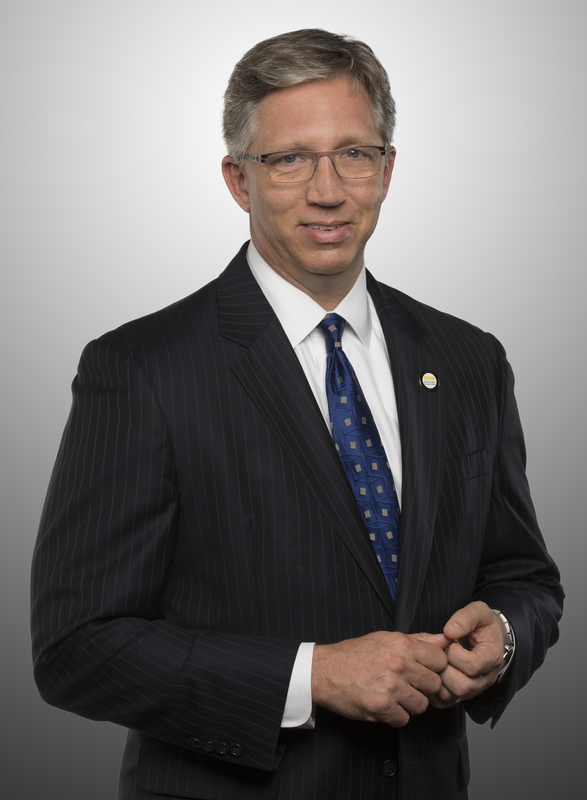 Glenn Dubois, Chancellor of Virginia’s Community Colleges, gave the keynote speech on opening night. He spoke about the influence of Virginia’s community colleges and about the value of the Fast Forward VA initiative, which helps Virginians quickly develop more opportunities within their careers by gaining necessary training and credentials. 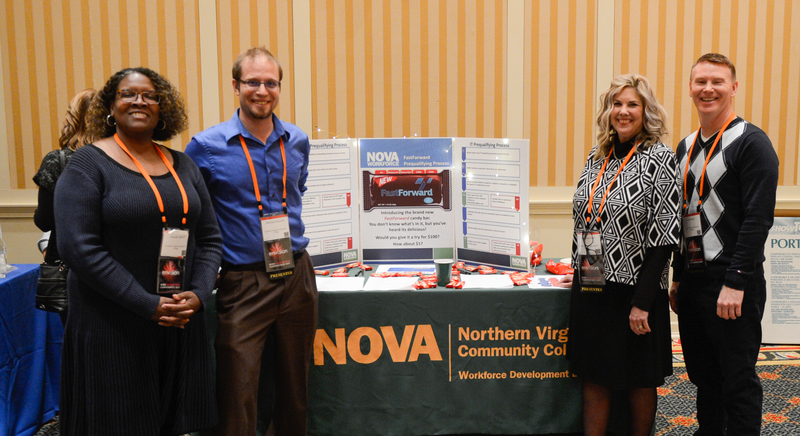 The NOVA Workforce team participated in the event and had the opportunity to lead two breakout sessions. 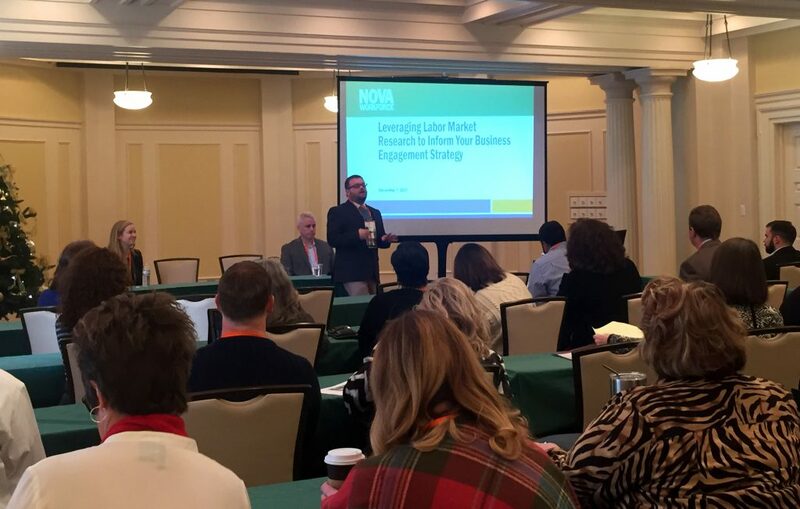 The first breakout session led by NOVA Workforce was titled “Leveraging Labor Market Research to Inform Your Business Engagement Strategy.” The speakers were NOVA Workforce’s Melanie Stover, Director of Strategic Business Engagement, and Alex Cooley, Labor Market Information Analyst. John Shaw, partner of NOVA Workforce and representative of Northern Virginia Technology Council, also led the discussion. The second session led by NOVA Workforce, titled “Using Internships Effectively as a Career Readiness Tool,” was led by Erika Coddington, Student Engagement Coordinator, and Michelle Crespo, Career Services Specialist. The conference also included a showcase for each of the colleges at the event to highlight their work. NOVA Workforce demonstrated how it addressed the issue of unqualified students seeking credential programs simply because the programs are a low cost and increase employability. NOVA Workforce’s process of pre-assessments, certifications as prerequisites, and advising for proper programs has nearly doubled the pass rate of certification tests. Building on this concept, NOVA Workforce believes it can continue to increase enrollment and success rates, and ultimately, employment outcomes for students. Viewers of the showcase, from college to VCCS staff to the Chancellor himself, were impressed and eager to learn more. At the final session on Thursday, a graduate on the Virginia Community College system shared how her educational experiences have empowered her to change her career and her life. The student’s testimony was a moving reminder of the impact of workforce development opportunities within the community, not just at a broad level, but also on an individual level as educational and job opportunities change lives. November 2, 2017 (Herndon, VA) – Northern Virginia Community College (NOVA) and Amazon Web Services (AWS) announced a new innovative apprenticeship program designed to train veterans in northern Virginia. The announcement marks the launch of the first-ever apprenticeship programs for AWS on the East Coast. The northern Virginia region has three times the average number of IT workers when compared to the rest of the United States. This apprenticeship program is an example of how business and education can creatively and successfully collaborate to address unique workforce challenges. NOVA’s large student veteran population and diverse offering of technology training programs help businesses find the highly-skilled tech talent they need to succeed, ensuring that the region remains economically competitive. Northern Virginia’s technology companies have an urgent need for talented employees. I heard that loud and clear the other day when one of our region’s leading CEOs called me to discuss strategies for the challenges he and other tech employers are facing. The challenges are clearly reflected in the data, validating the angst that our technology employers are feeling and the urgency for our region to be laser focused on workforce development. Approximately 30 percent of all job openings in our metropolitan region last year were in information technology, translating into 161,000 total IT positions. We have more than double the number of cybersecurity job postings of any area of the country, and last year actually had more vacancies advertised for cybersecurity analysts than we had people working in that job category. At only 8,000 IT graduates produced annually across all degree categories from all colleges and universities in our region, we are barely scratching the surface to meet the demand for new IT workers required by one of the nation’s leading technology hubs. That is why the partnership between NOVA and NVTC is imperative. Meeting a significant regional challenge will require collective input across employers and educational institutions, and NOVA is committed to aggressive, strategic partnering with our employer community and educational colleagues to address this challenge. Doing so is the right thing for the future prosperity of our region, and it opens doors of opportunity to our students who already live in this region and aspire for good local careers. It is critical for educational institutions and businesses to partner together to attract and retain a talented workforce. This type of partnership will better serve to develop training and workforce needs within the Northern Virginia region, ultimately allowing businesses to remain economically competitive. We hope to better prepare our students for the labor market once they complete their studies at NOVA by providing them with the right resources to enter the workforce. We also want to collaborate with the technology business community by responding to changing employer needs and providing a qualified pipeline of workers with the right skills needed for the job from day one. Aggressive partnering also helps us maintain one of the most notable attributes of our college. Even though we have never lost a football game, NOVA doesn’t appear in any top 20 college football rankings or hardly any other traditional metrics by which colleges are often compared. But research by a Stanford economist recently indicated that we are one of the best colleges in the nation for fostering socio-economic mobility for our students. This is an accomplishment made possible by having a region with a wealth of job opportunities paired with our college focus to prepare our students to grasp those opportunities. We value our partnership with NVTC because it allows us to strengthen and grow workforce development efforts, to ensure that our investments and efforts are hitting the right targets, and to maximize our impact for our students and the communities and region we serve. This opinion editorial was originally published in the Northern Virginia Technology Council’s The Voice of Technology magazine in October 2017.